Images of fall | You're telling me this ... why?? You’re telling me this … why?? I seem to be low on time and content for my blog lately so today I decided to have a look at my camera’s memory card for inspiration. The theme? Fall. Though there are no pictures of the turned foliage (yet), I found a few scenes that are undeniable symbols of chillier weather, shorter days, and the harvest. Mums. 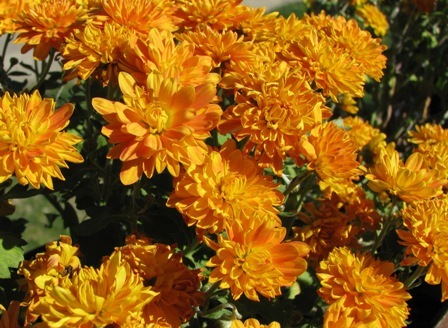 Everyone from Walmart to the mom-and-pop shop down the street are selling mums this time of year. Pair them with corn stalks or hay and a few gourds and you have fall decorations for your porch. 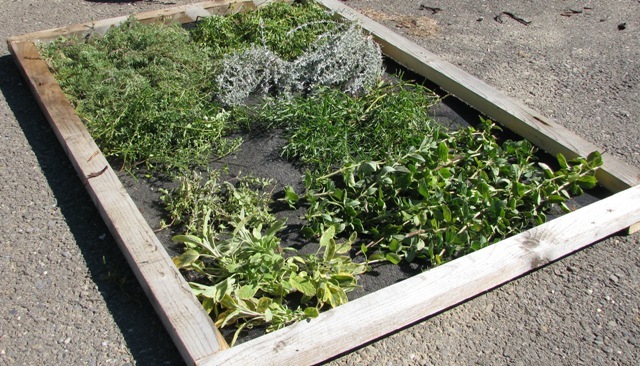 Herb harvest. I love harvesting anything from my gardens but there is something so down-to-earth, so granola, so green about clipping, drying, and then using your own herbs in your cooking. I had a pretty good yield for herbs this year, with the exception of basil (which does not seem to like my thumbs, no matter how green). 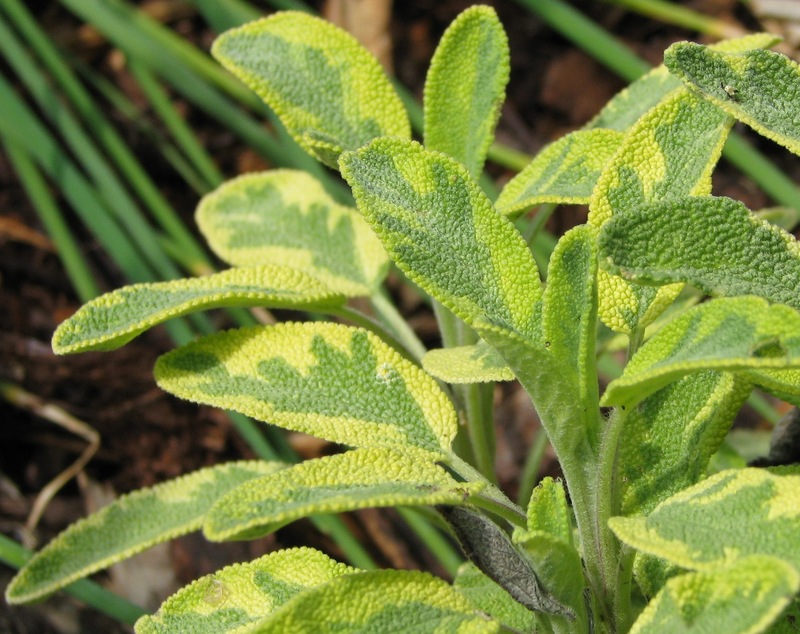 I love that pic of variegated sage. Vegetable harvest. 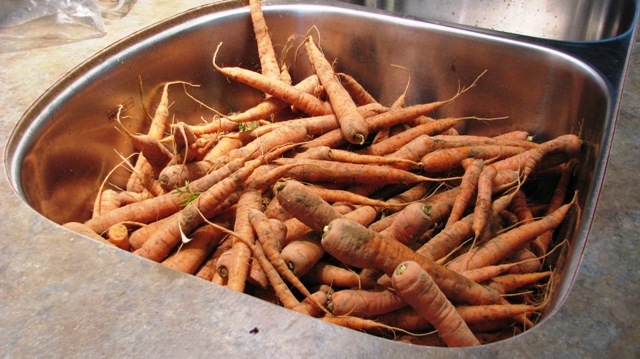 If I’m speaking of harvest, I have to mention the 5 hours of washing, cutting, blanching, and bagging carrots that I did last week and that caused the palms of my hands to turn orange (the pic doesn’t do it justice… we have a big sink). It’s completely worth the effort when you’re carrying 20+ meal-sized bags of carrots to your freezer and can look forward to blending those up for your yet-to-be-born infant. I have no pics but the other item that was plentiful this year (and every year) was zucchini. I swear zucchini would grow if you threw the seed on pavement and just walked away. And I can’t seem to find the balance between too much and not enough for just hubby and I. I always end up grating, bagging, and freezing it for things like zucchini bread, cake, and muffins. 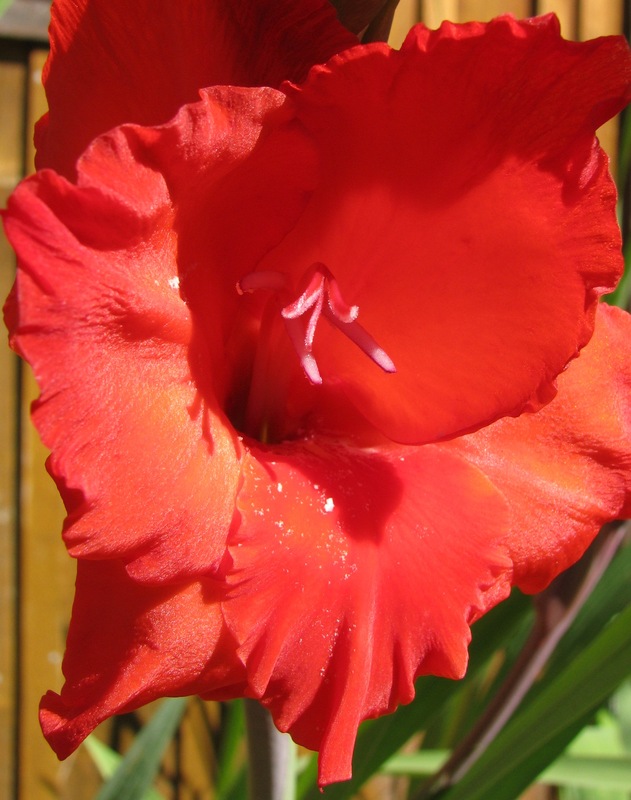 Glads or Gladiolus. Another fall flower, . I only planted these (red and cream colored) this spring so I’m hoping they do better next year. They’re tall and top-heavy so I also need to figure out how to keep them from falling over in the wind. A few days ago I was driving home from work on a highway lined with fields and working crews. The smell of dirt being worked wafted into my car and it took me back to the days of working in the fields, digging potatoes out of the ground with my hands. I thought if there was one smell that could represent this time of year, that must be it. Except for losing daylight and having to put away the sandals (I haven’t given in yet), I really love this time of year. I’m hoping the impending storm Kyle doesn’t beat the leaves off the trees before we can get out for a hike and get some pics to share.